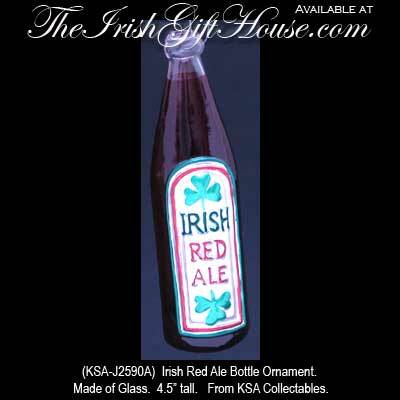 Red Ale Bottle Irish Christmas Tree Ornament. Made of Glass. 4.5” tall. Ready to Hang.